It's a funny thing, breathing. The other night I was sitting on the sofa, and I could hear Amber breathing as she sat beside me, reading a book. I realized I was breathing, too. Our dog was laying beside us, and she was breathing heavily too because she was deep in sleep. We were all sitting there, inhaling the invisible air around us, and exhaling it back out. It's one of those thousand and one things we stop noticing. Our focus narrows onto the smallest tasks in front of us: paying a bill, answering a text message, watching a TV show. Meanwhile we're sitting on a giant twirling ball, rotating silently through space, with just a thin garment of air covering the surface of our planet. And we breathe that gas in, and out, that perfect balance of oxygen and nitrogen. Decade after decade our lungs open and close like bellows, delicately collecting the invisible gas around us that we depend on moment by moment to stay conscious, to keep our eyes open, to move our bodies. 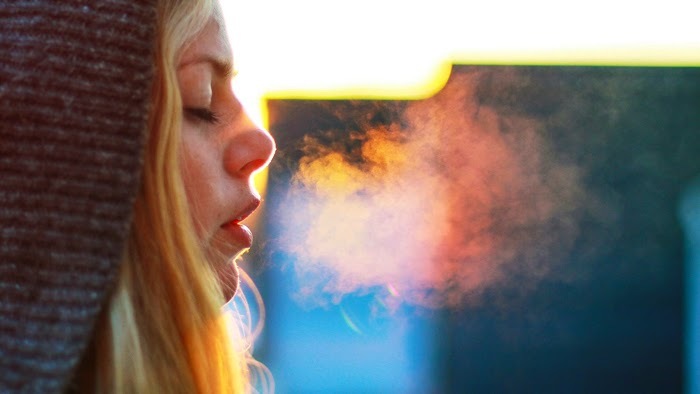 Recently, in hopes to resolve pain (with acupuncture) and simultaneously intercede in prayer for "inclusive" church assembly, I found myself also prompted to notice my "breath". Listening for Him in this procedure, God spoke the word "respond" to me and this became the "bi-syllabic" prompt for breath in and out. He reminded me that this breath is HIS tool and not my own... The session was powerful in the process of stillness. then ahead and above, what seemed to be a blanketing roof of white. He showed me that He has "All" in His hand- Mountains and Sea... and I too, am "included" there. Isa. 49:16 See, I have engraved you on the palms of my hands; your walls are ever before me." Eventually, I "awakened"... or aroused... I was conscious of breath again. Another space or time had existed amidst those breaths. I will not forget that "Respond" is God's instruction, most especially to my prayer for "inclusive" church assembly. In that breath it was life-giving to be "included" in His hand with mountains and sea and expanding horizon. Another space and time existed in those BREATHS... This expanse is not my own. My surrender now, in this prayer, is more natural, like the next breath, and perhaps will be even as seamless. May I notice my heart open to be as wide as the sky, expanding roof. I spoke this to dad yesterday. "Here we are breathing. We don't even notice or acknowledge it. I am choosing to be responding to breath. It IS a miracle!" thank you for the contemplation, Daniel... a powerful fewer words than my own, with wider expanse. Thank you for taking the time to share your own amazing experience. I remember you talking about how focused breathing has helped you in the past to overcome physical pain, Lamaze-style. Pondering on your experience, I believe we live in such a limited perspective. If we could fully comprehend all that we are a part of, all that we belong to--the stars in their constellations, the movements of earth and time, the blooming of a flower and the breath of the Spirit on the face of the waters, we would probably cover our eyes like the Living Creatures before the throne and cry out Holy, Holy, Holy!